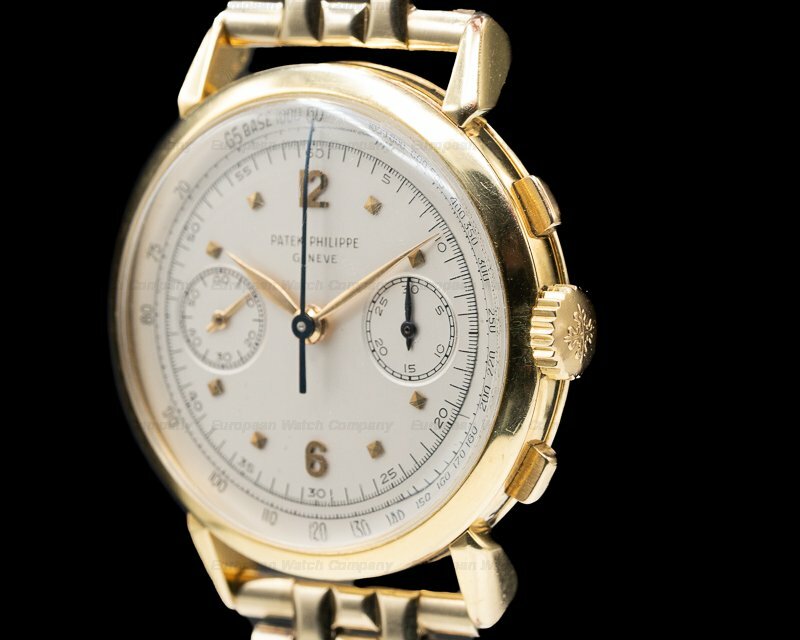 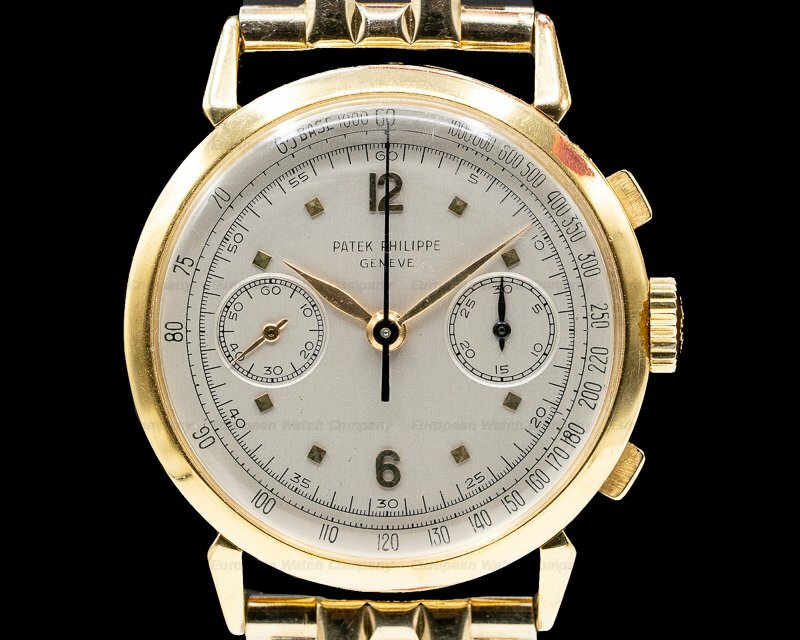 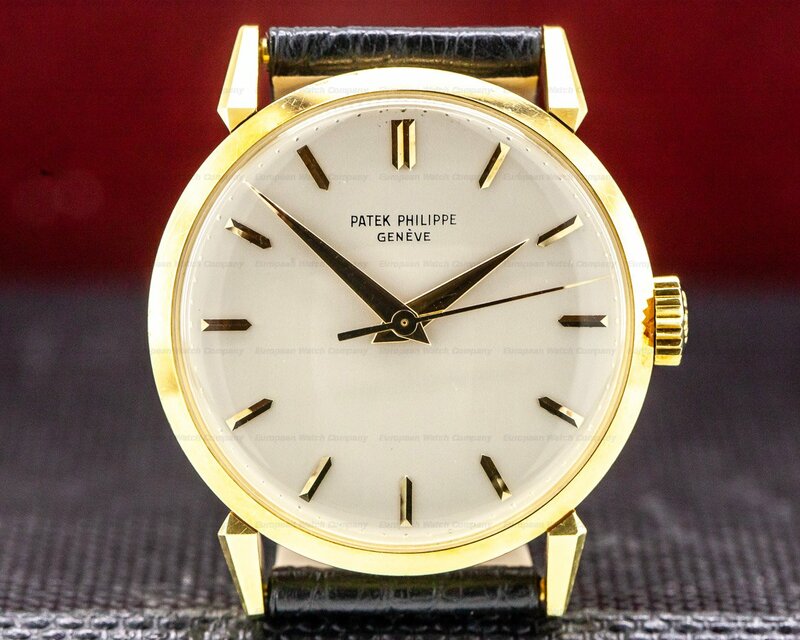 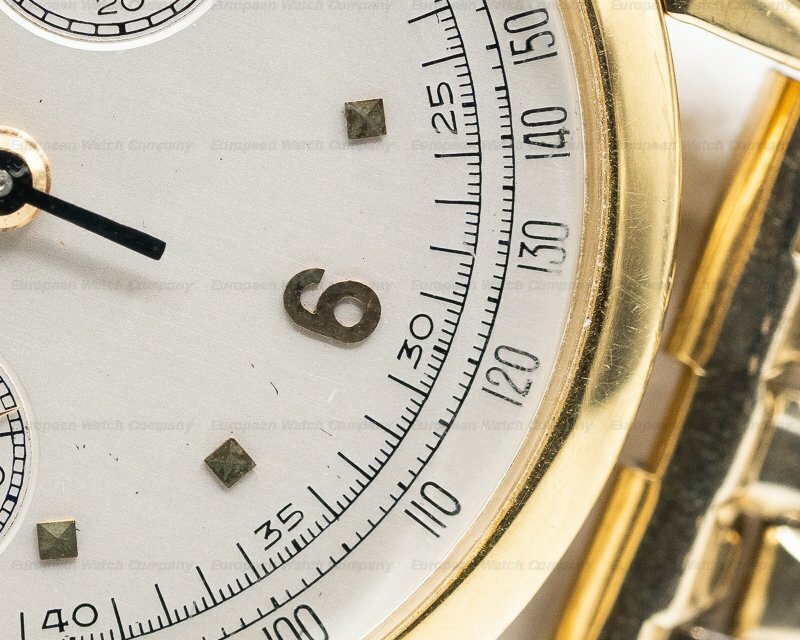 This is a vintage 1957 18K yellow gold Patek Philippe Chronograph 1579. 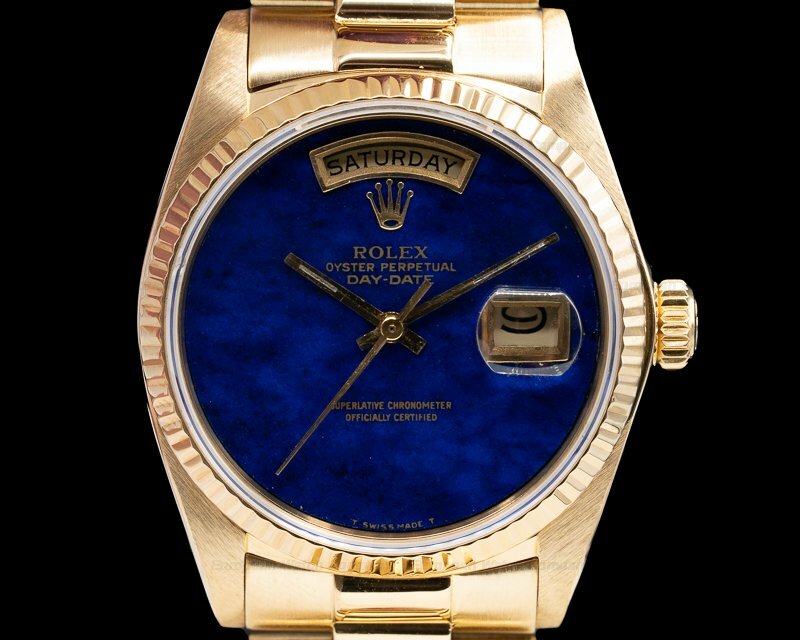 It has an alligator leather strap with an 18k yellow gold tang buckle, and an acrylic crystal. 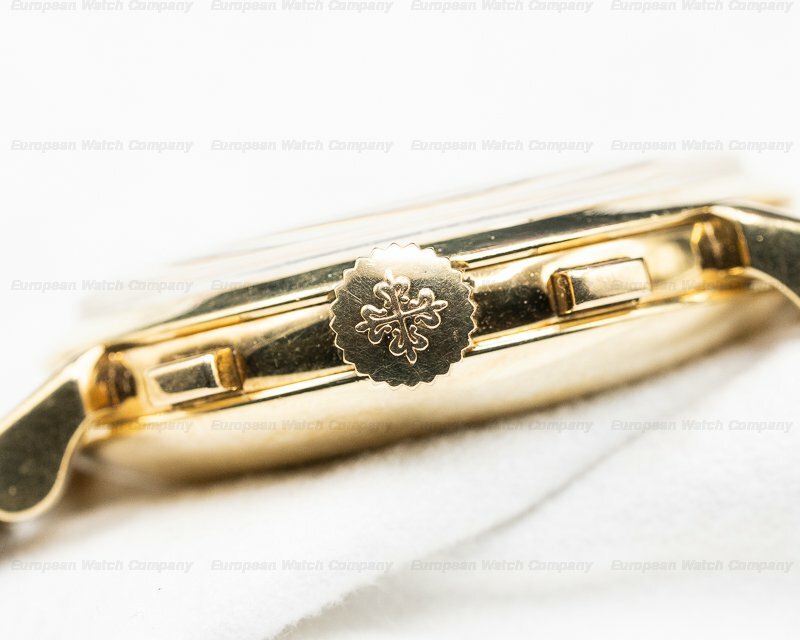 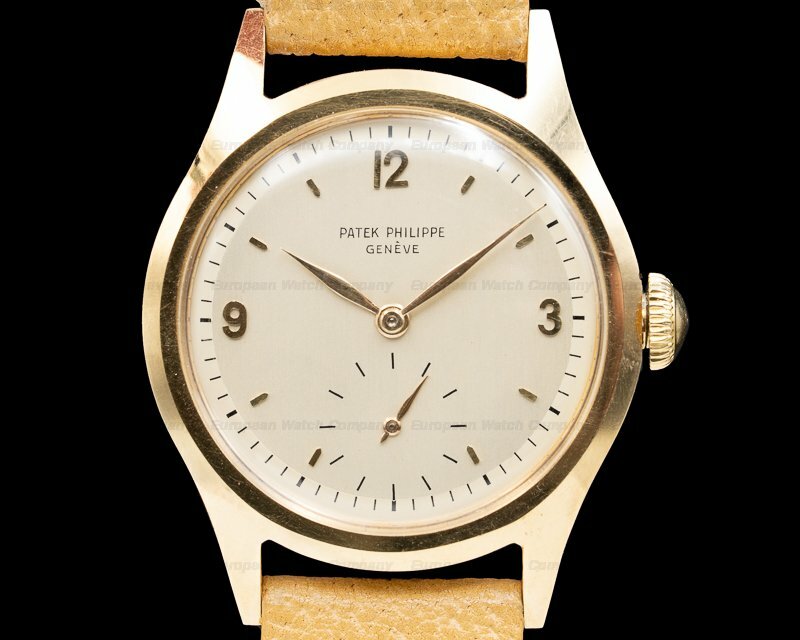 It has rectangular chronograph push buttons, a pull out winding crown, and a solid snap down case back with the inside stamped with "PATEK PHILIPPE & CO – GENEVE – SWISS – REF 1579," hallmarks, and a serial number. 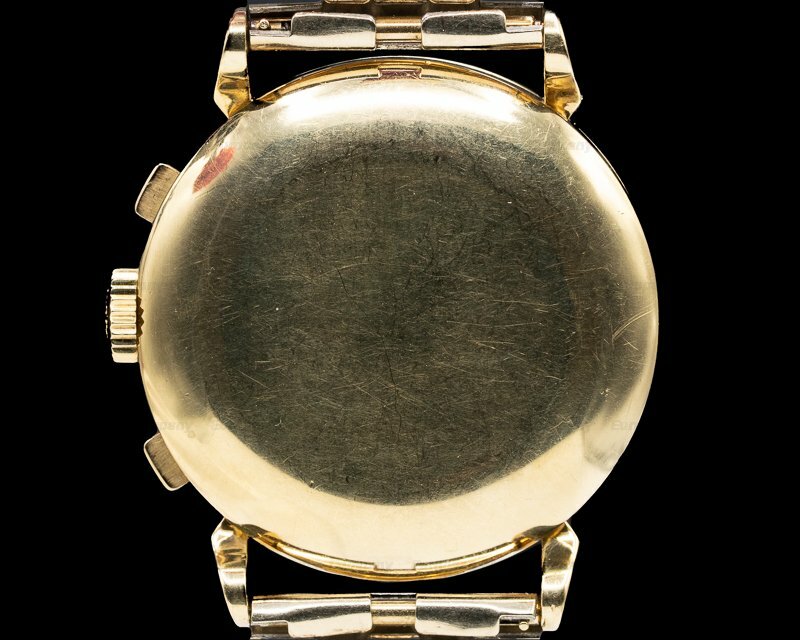 The 36mm diameter solid three-body case, faceted still-sharp teardrop lugs, and angled bezel, are polished/brushed. 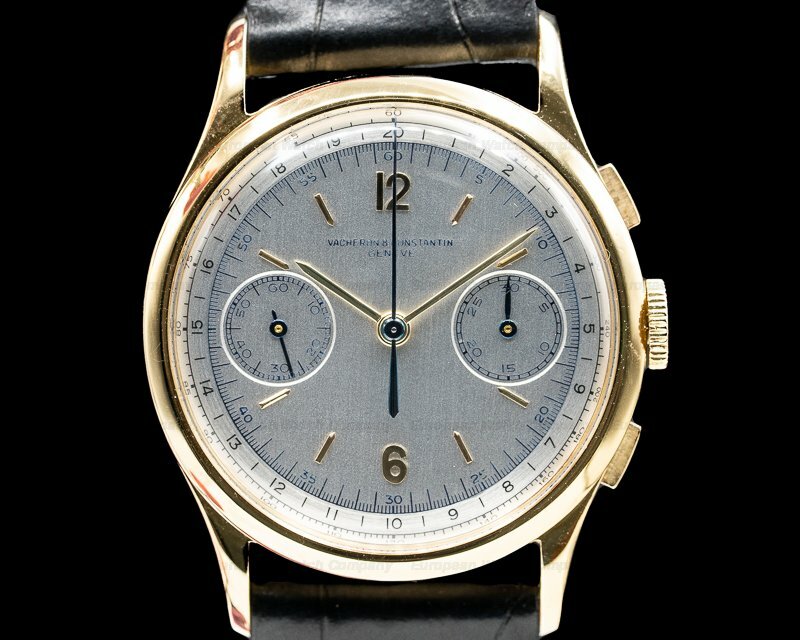 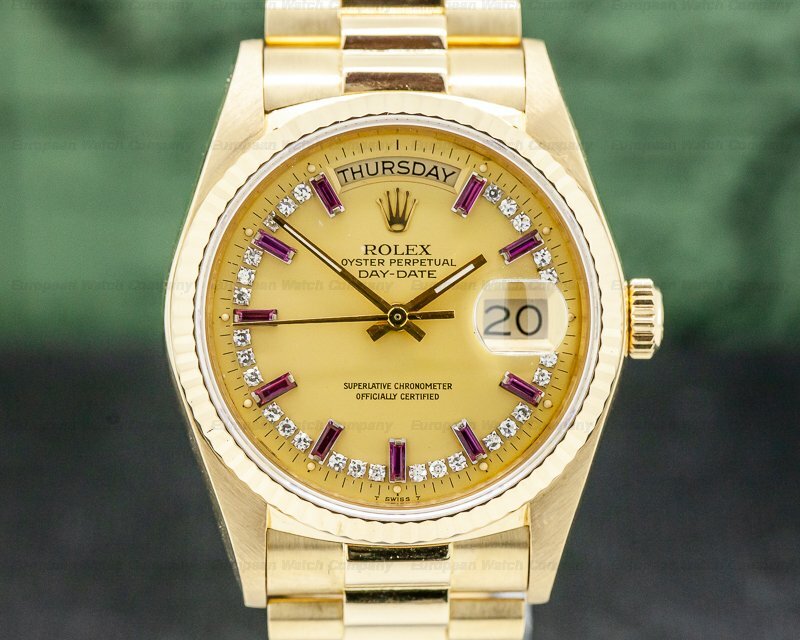 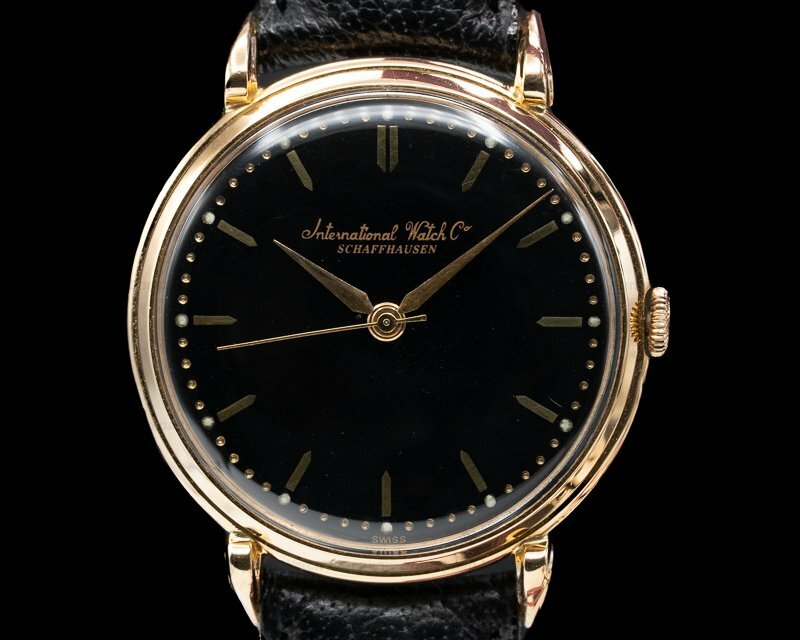 It has a beautiful safe-kept patina, especially around the bezel, and the original dial is matte silver with square pyramidal gold hour indices, applied gold Arabic numerals at the half hours, gold feuille hands, and a gold center sweep second hand. 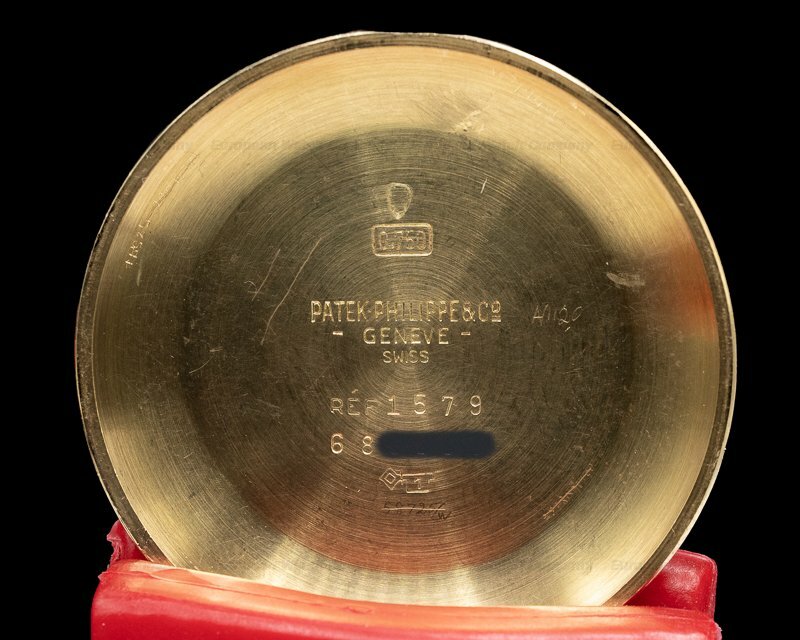 There is a black outer minute/one-fifth second scale with Arabic numerals every five seconds to 60, and around the perimeter flange is a black tachymeter scale to 1000 UPH. 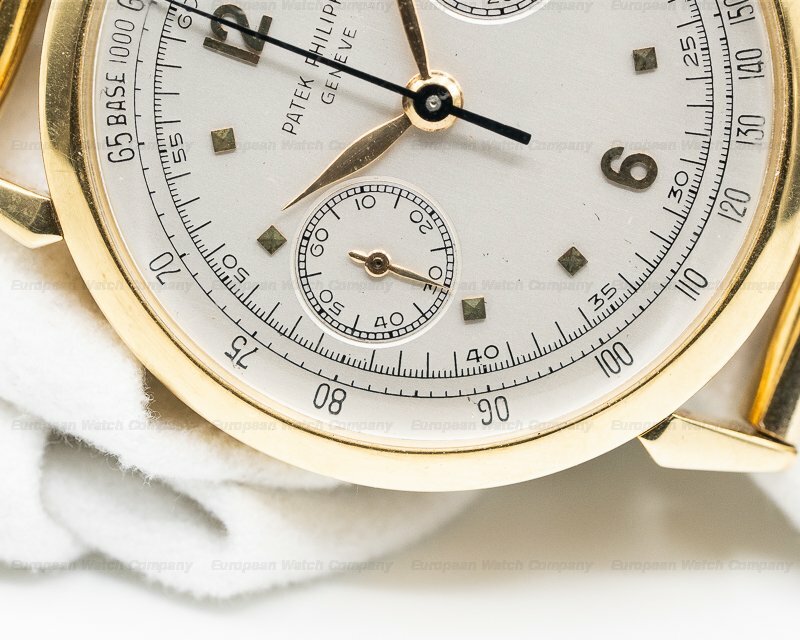 It has two recessed silver subsidiary dials with railroad-style scales, black Arabic numerals, and gold feuille indicator hands, including a running small seconds register at 9 o'clock, and a 30-minute chronograph totalizer at the 3 o'clock position. 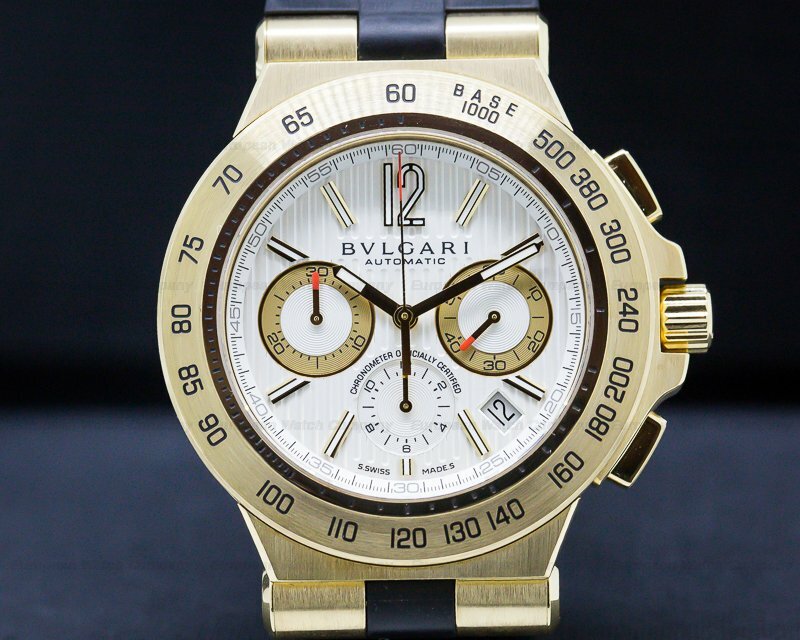 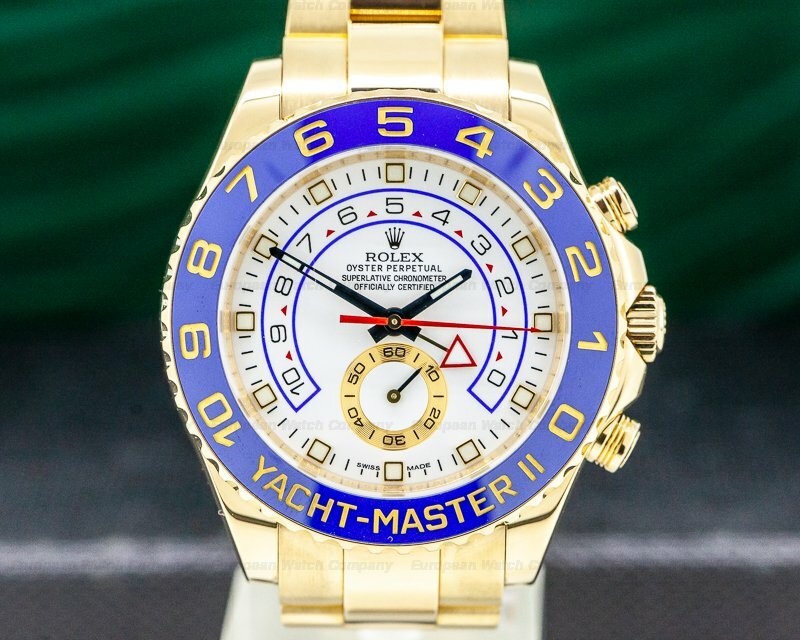 It has a 42-hour power reserve at full winding, and the 11.5mm thick case, dial, and movement, are all signed. 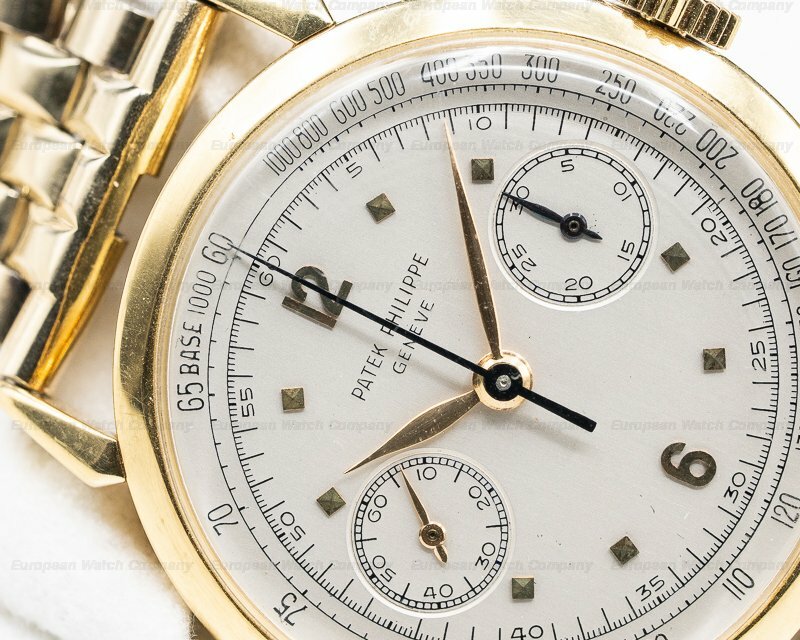 This Patek Philippe Chronograph 1579 has a mechanical manual winding Patek Philippe caliber 13-130 (base Valjoux ebauche) column wheel chronograph movement. 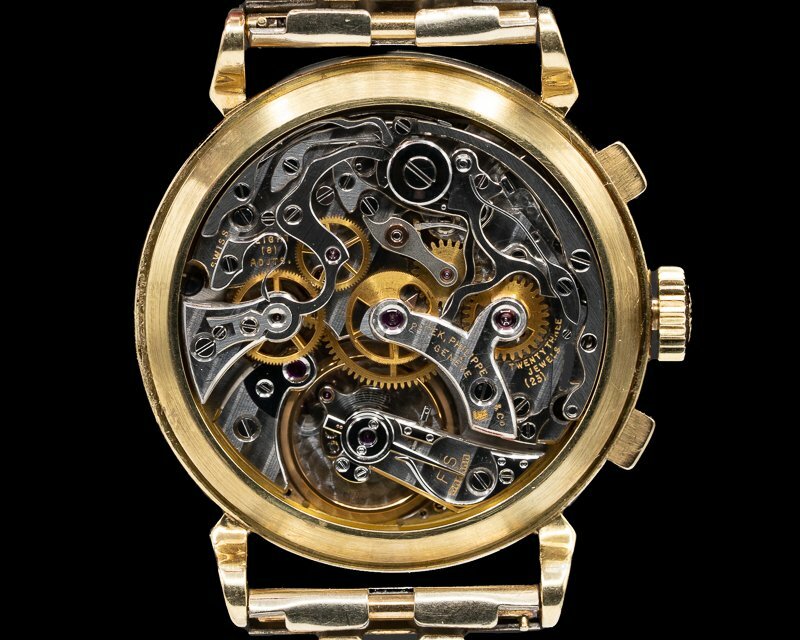 It's rhodium plated with fausses cotes embellishment, and it's constructed with 23 jewels, a shock absorber device, and a straight-line lever escapement. 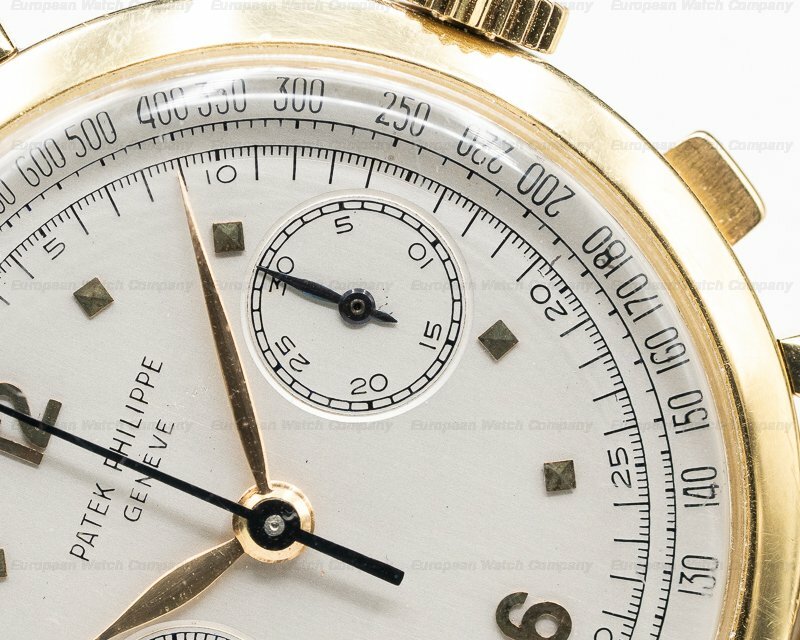 It has a cut bimetallic compensation balance that's adjusted to 8 positions, a blued steel Breguet balance spring, and a swan-neck micrometer regulator. 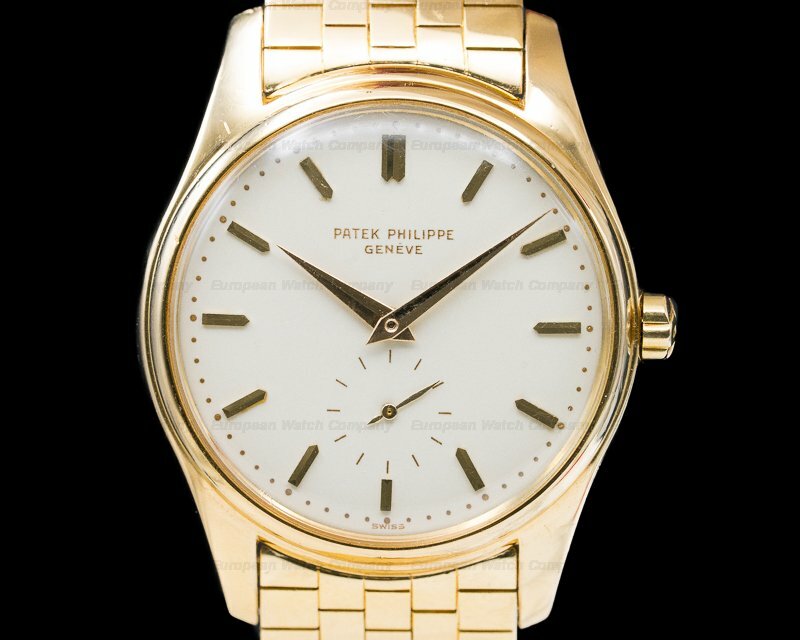 The mechanism oscillates at a frequency of 18,000 vph (2.5 Hz). 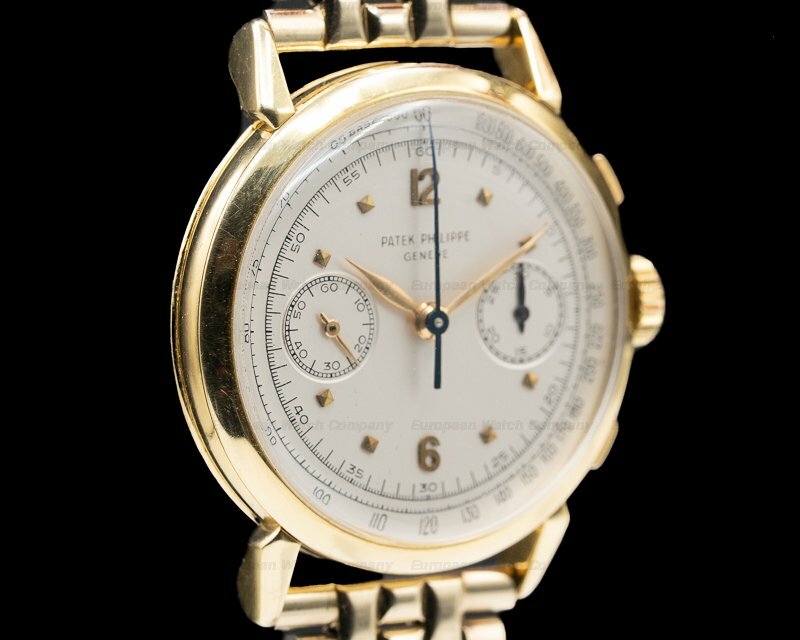 Production of the very rare Patek Philippe Chronograph 1579 began in 1943. 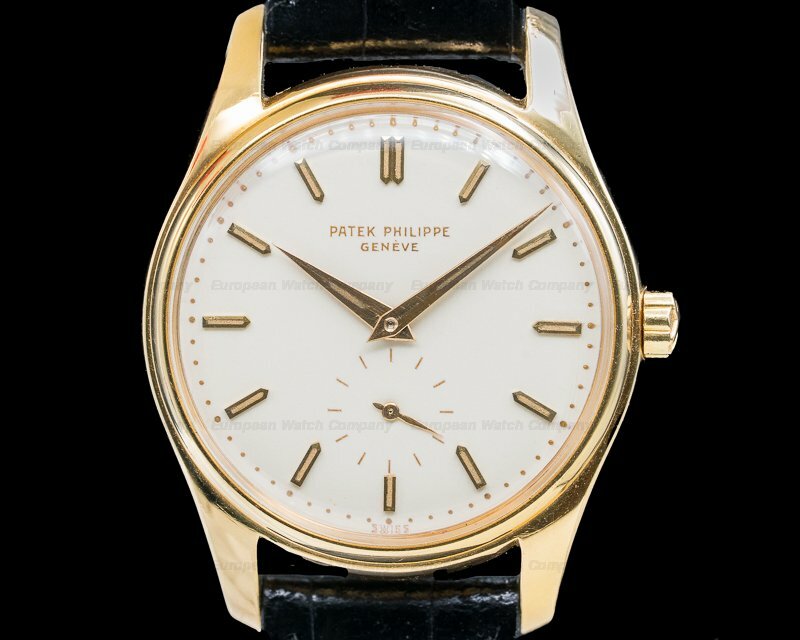 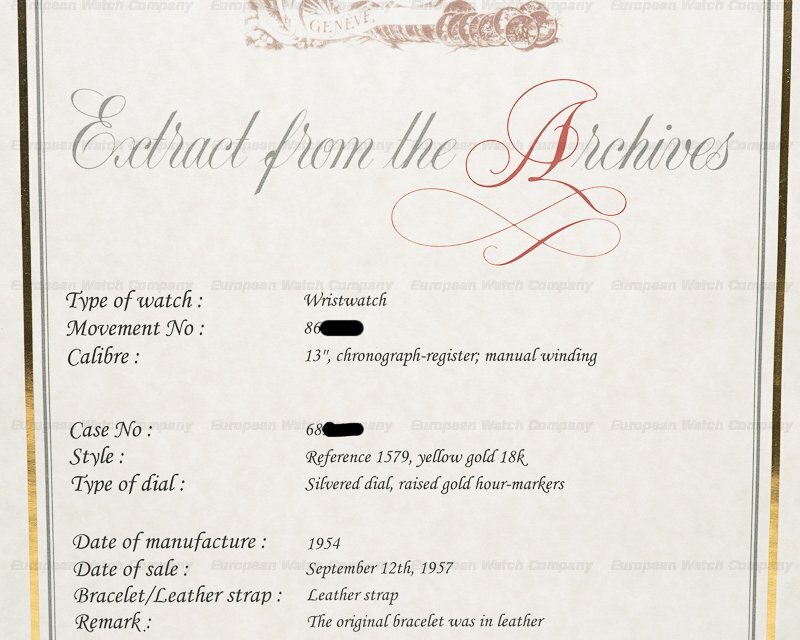 This watch includes a Patek Philippe archive certificate confirming the original date of sale in 1952.